Senator Eric Abetz has condemned the Federal Court’s decision to prevent Toyota employees from voting on a number of proposals aimed at removing outdated work practices. According to a media release issued by the Senator, the Federal Court has ruled that no extra claims in the agreement would need to be removed before Toyota could be able to propose further variations which would be aimed at removing restrictive work practices. “The Coalition Government wants the Australian automotive industry to survive and flourish,” Senator Abetz said. 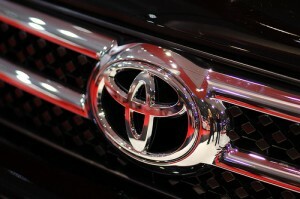 Senator Abetz also warned about the signals emerging from Toyota. According to him, the latest comments coming from the company should send off alarm bells to the union bosses who rejected any change to the restrictive work practices they forced on Ford and Holden. “Toyota and its workers should not be hamstrung by unions that can’t see beyond protecting outdated practices and their own interests,” Senator Abetz said. Further, the Senator added that it is in the interest of the company, the country and especially Toyota employees to work together and consider changes to help secure Toyota’s future in Australia and protect jobs. The saga surrounding Toyota’s future in Australia is not expected to end soon. It is said that Toyota employees may need to wait for months before the company makes a final decision with regards to its future in the country.